Home >> Local Reporter >> 3rd Edition of 24ADP Digital Marketing Conference Pune is here. Here is Everything You Need to Know. Digital Marketing is a dynamic sector in the world today. Each day, new technologies are introduced which bring in new possibilities in which a brand/product/service can be marketed, promoted or sold to the target audience. Which means for the folks who want to make a successful career in this field, learning can never stop. While the internet is an ocean of knowledge (good and bad both) and numerous islands (sources imparting that knowledge), you really can’t be sure if you’ll sail across to the right shore. Seems like a problem, eh? Not really for the folks in Pune! A community initiative comprised of volunteer marketers from different companies in Pune have joined hands to tackle this problem in their own way. One of them being 24ADP Digital Marketing Conference, that takes place once a year. Before we get all excited and plunge into the details, let us refresh your memory about “24ADP”. It is a celebration of the boom in Digital Marketing! The thing is that most people know what it is but often don’t possess in-depth knowledge. This is where we come into the picture. We bring in the experts to educate and engage all those who seek to understand the endless benefits of Digital Marketing. That’s the main crux of the weekend-long conference! What is the Speaker Lineup for 2017? So, this is it! We have said what we had to say about the event. Now it is up to you to take advantage of it and make the most of it. There are limited seats available. Also, the early bird ticket sale ends on 25th Sept 2017. So what are you waiting for? Grab your passes from here! Here are some of the speakers who were a part of last year’s 24ADP. This will give you an idea of the real value of this conference. Mind you, there just some of the esteemed speakers they’ve had in past and is by no means a complete list. Vimal Sumbly, MD & CEO, Triumph Motorcycles India. Dhananjay Sahasrabuddhe, Maketing Manager, MTV. Sujoy Golan, Head of Global Digital Marketing, InMobi. Preeti Jagwani, AGM Digital Marketing, Book My Show. Dr. Sayalee Gankar, Director, MIT School of Management (MITSOM). Sonal Shah, AGM Digital Marketing, Kotak Securities. Lakeer Kukadia, Founder & CEO, Radon Media. Dr. Sachin Bhide, Strategy Designer, Eha Management Consultancy. Neha Sharma, Group Brand & Marketing, Standard Chartered Bank. Shraddha Agarwal, COO & Head of Digital Strategy, Grapes Digital. In case you missed the previous link to register yourself, click here and secure your seats. The list of speakers in the upcoming conference is even more exciting! 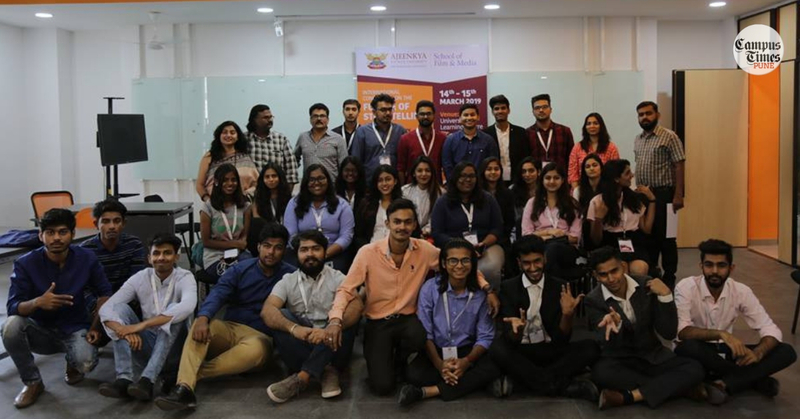 What Is Pune Digital Marketers Community (PDM)? Pune Digital Marketers (PDM) is Pune’s principal digital marketing community. It is a community made up of digital marketing professionals whose main focus is knowledge sharing. They conduct conferences and meetups where you will meet digital marketing talent across agencies, freelancers, in-house marketers, and consultants. These meetups also address the on-ground marketing and issues faced by marketers in today’s competitive world. The high point of these meetups is the guest speakers who are specially selected and invited to share their insights, expertise, and experience with attendees. The speakers are an eclectic mix of entrepreneurs and top people from corporates and media houses. It is the perfect atmosphere for a student to soak in all the inspiration in the air. And it is not just about learning either. That is just the bonus! As a student, this is a golden opportunity for you to make connections and get your views heard by some of the topmost and best talent of the industry. This is the time to get noticed. Nothing stands in your way as you get to present your best side to those present at these meetups. More often than not, this means an opportunity to meet and impress your potential employers. It is the Who’s Who of Digital Marketing who are in attendance. So, whether you are looking for employment opportunities or just inspiration for starting on the entrepreneurship road, this is where it is all happening.